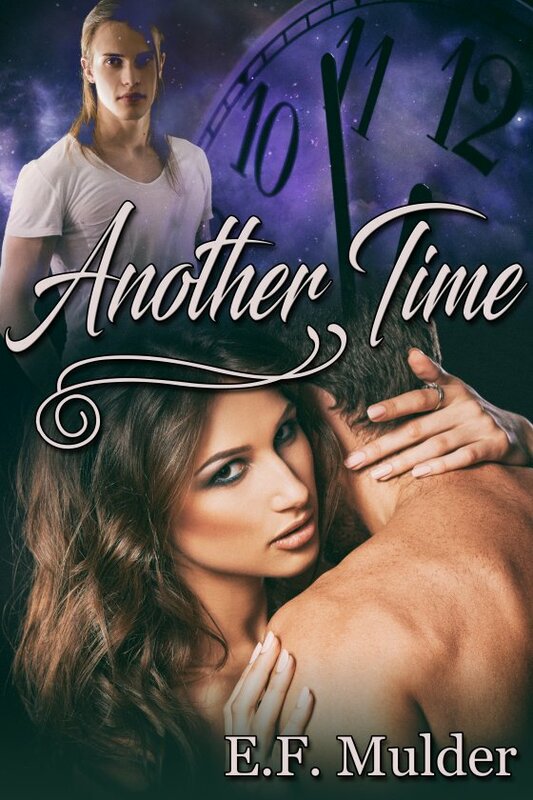 Another Time by E.F. Mulder is now available! Torn between two people — the woman he married one summer after a very brief courtship and the troubled male student who lusted after him for years. Some might call Jacob’s feelings selfish. But he knew three things for certain. He truly loved them both, they all loved one another, and the two of them were taken from him and this world much too soon. Science fiction has claimed for decades there is a way to manipulate the years, the days, the hours to our whim. Jacob, left alone with so much of his life ahead of him, becomes obsessed with figuring out how. Even if he can change the laws of time, he isn’t certain past events can be reversed and, if they can, what it might mean in terms of being with either one of the two who captured his heart, now or in some other realm. Can Jacob recapture any of the time he lost with either Wendy or Rory? Or is it possible he might somehow find both the man and the woman he loves again in another time? “How are you feeling?” Jacob asked. “I’m sorry,” Wendy said. She was home, in her own bed for her final days. They wouldn’t make it past their five year anniversary. They’d barely made that. The cancer that would keep them from having children, that they battled together over most of their married life, was finally about to win. “I wish …” Speaking was a bit of a struggle. Yes. He still had it. “Stop.” Jacob stood, but Wendy took his arm. She was fragile, her long brunette hair gone, her voluptuous body ravaged. Her face was still as beautiful, though, her dark eyes as sweet and kind as always. Jacob could have gotten away. Her grasp was weak, but he let her keep him there. Sometimes Jacob didn’t only hope, sometimes he believed. “You were always so sure of it before.” If there was ever a time Jacob wanted to believe in heaven, it was now. “You little rascal.” He kissed her again as the mantel clock chimed the hour. The damned thing was a menace of late. Tick. Tick. Tick. All day, every day. The last thing Jacob wanted to think about right then, with Wendy slipping away from him, was the passage of time.